Jammu district is situated near Tawi river. It is the capital city of the state of Jammu & Kashmir in India. Jammu is one of the largest city in the state. Jammu RTO manages all documentation process and other mandates related to transport and traffic of the city. It is governed by the transport commissioner and operates as per the provision of the motor vehicle act of 1988. It performs multifold activities for its smooth functions. The systematic process for issuing the driving license is followed. Aspirants need to submit the required documents, after that they need to undergo driving tests. After thorough verifications of their documents and clearing the tests only they get the driving license. Jammu can issue the driving license within a day if all the documents are accurate and tests are managed speedily. Before driving license, learning license is issued for a period of 6 months to the beginners. Jammu RTO monitors dispatching of these learning licenses. Jammu RTO assists in the license renewal process as well as issuing the duplicate license. Driving license is usually issued for a period of 20 years after that it must be renewed. People residing in Jammu can visit its RTO for the needful. If someone loses its license by theft or misplacing they can also request for the issuance of duplicate license through Jammu RTO. At times people from Jammu may plan to relocate to international countries than they need special permission for driving there. 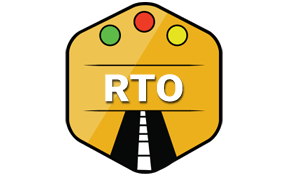 Jammy RTO can assist in issuing international driving license and permits. Jammu RTO manages all kinds of tests. These tests can be related to any kind of theoretical or practical tests at the time of granting driving license. Jammu RTO is also authorised to examine vehicle's fitness by conducting vehicle emission tests. After scrutinizing, further process of issuing license or roadworthiness certificare is processed. Regional Transport Officer (RTO), Transport Nagar, Jammu, Jammu & Kashmir - 180004.